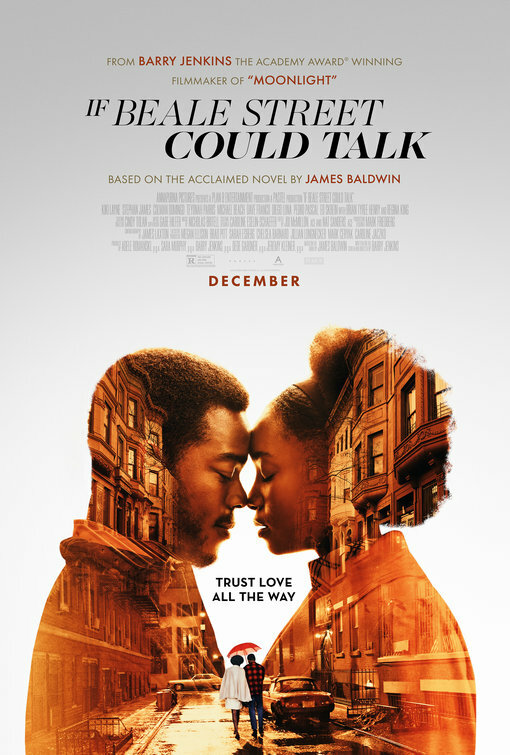 In Barry Jenkins big screen adaptation of James Baldwin's 1974 novel If Beale Street Could Talk, KiKi Layne plays a young black woman in Harlem, 'Clementine "Tish" Rivers', who desperately tries to clear her fiancé's name of a crime before their first child is born. 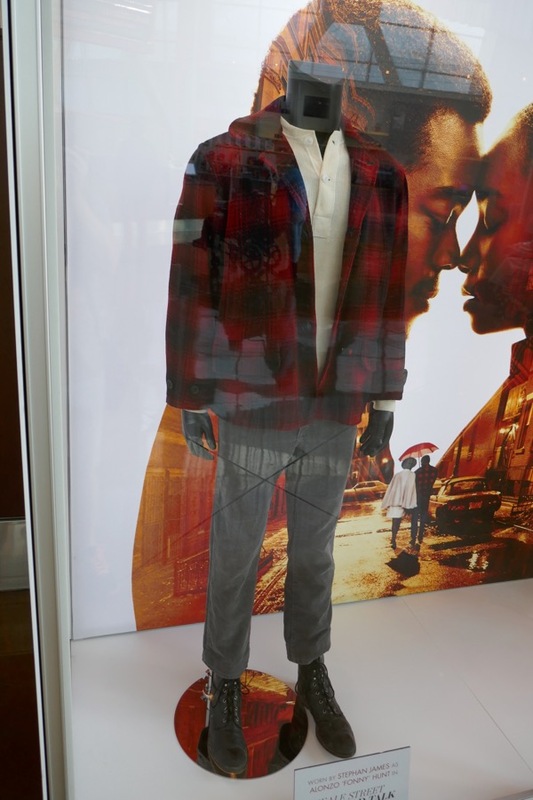 Stephan James plays the wrongly accused 'Alonzo "Fonny" Hunt' in this romantic drama about their love, their families and lives together. 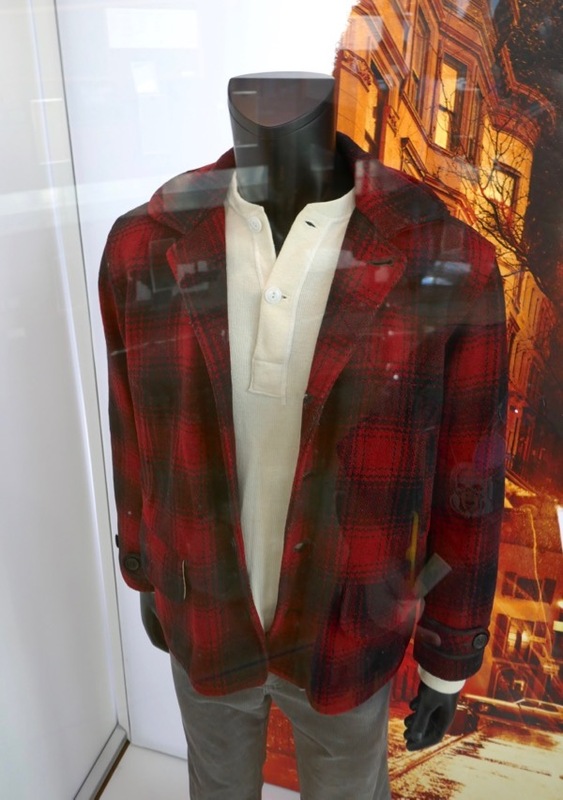 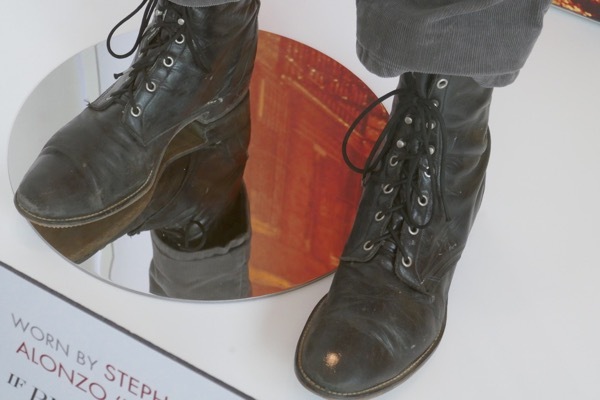 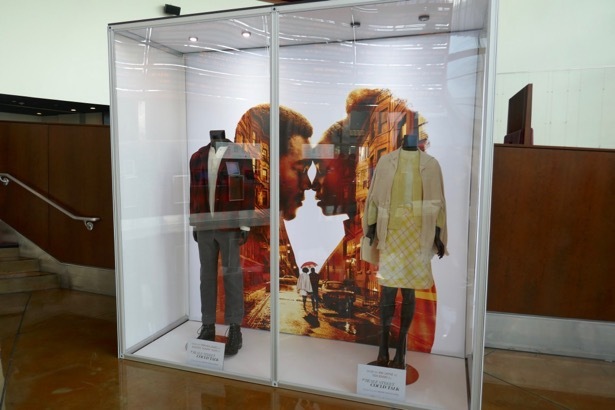 These screen-worn costumes from the love story set in early 1970s New York City, which were designed by Caroline Eselin-Schaefer, were photographed on display at ArcLight Hollywood cinema on November 27, 2018. 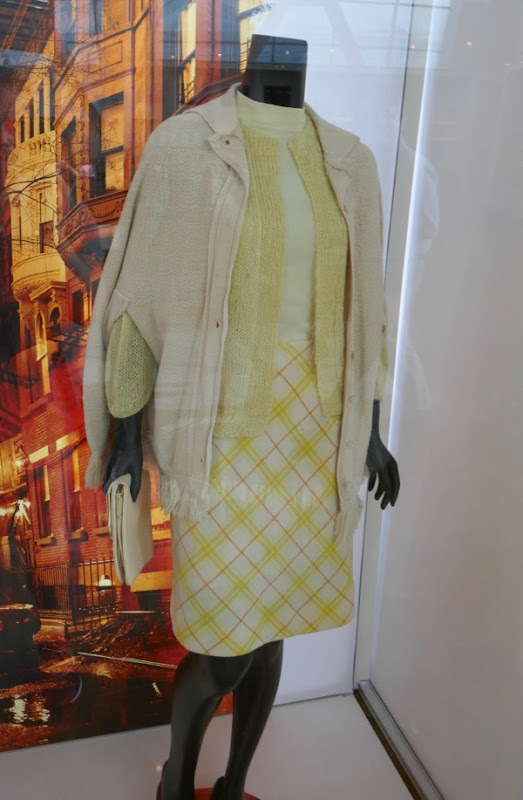 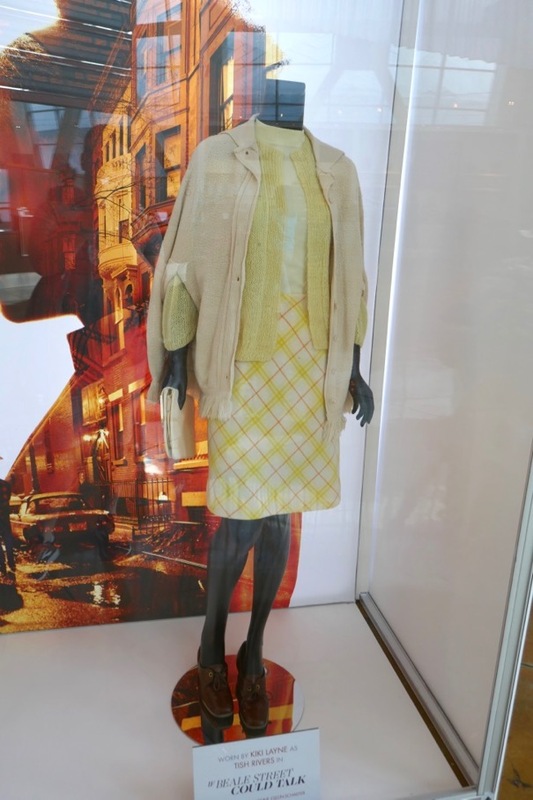 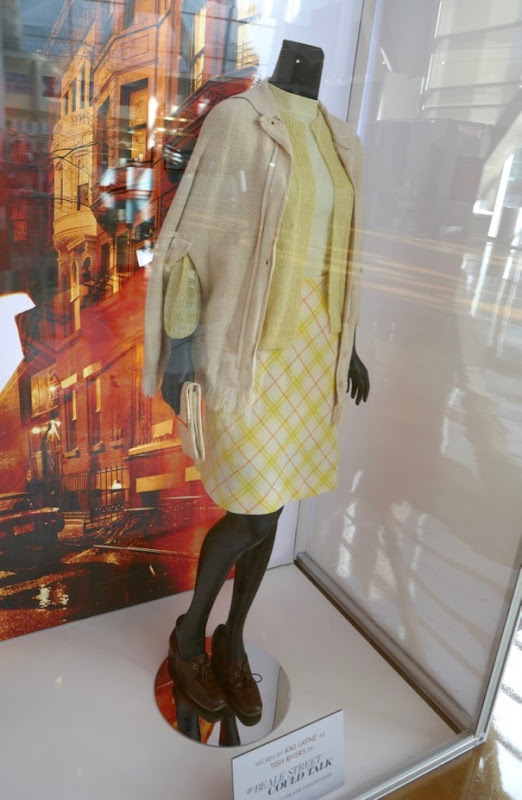 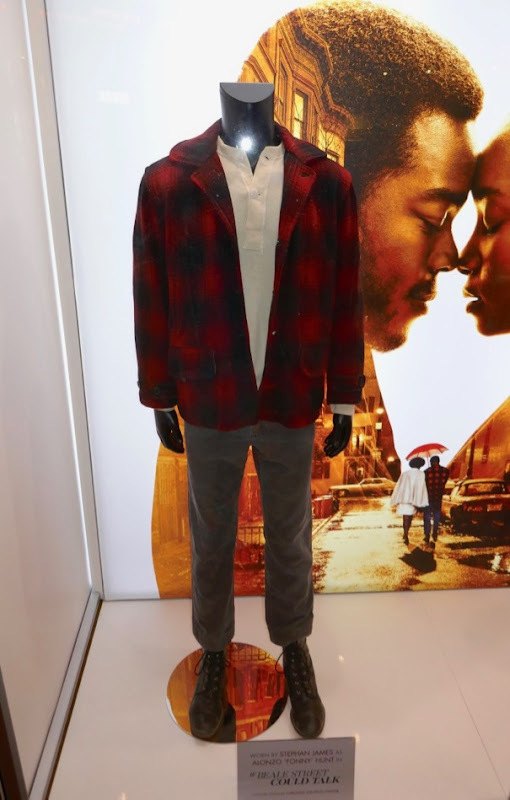 For more film fashion you may like, be sure to also check out these film costumes from Hidden Figures, these Selma movie costumes and these Loving film costumes on display. 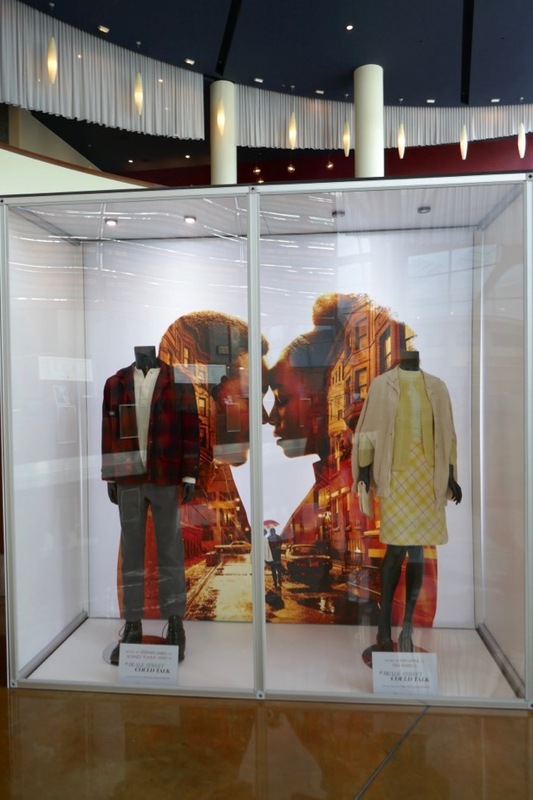 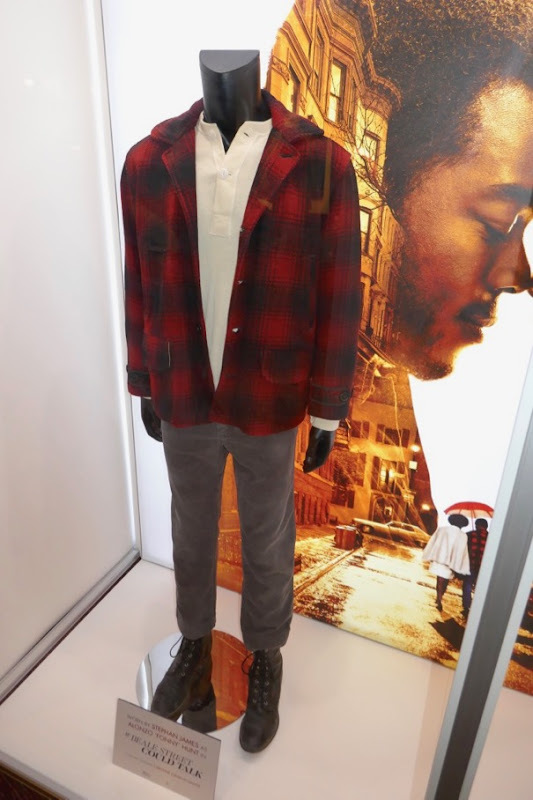 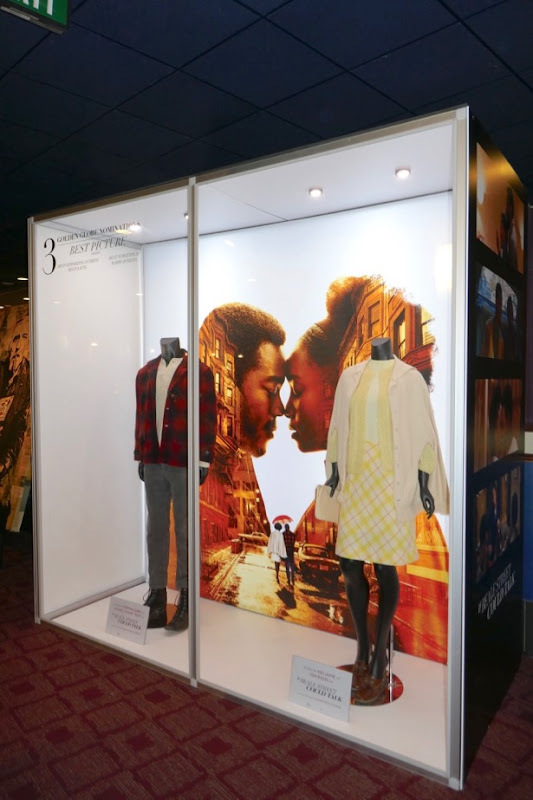 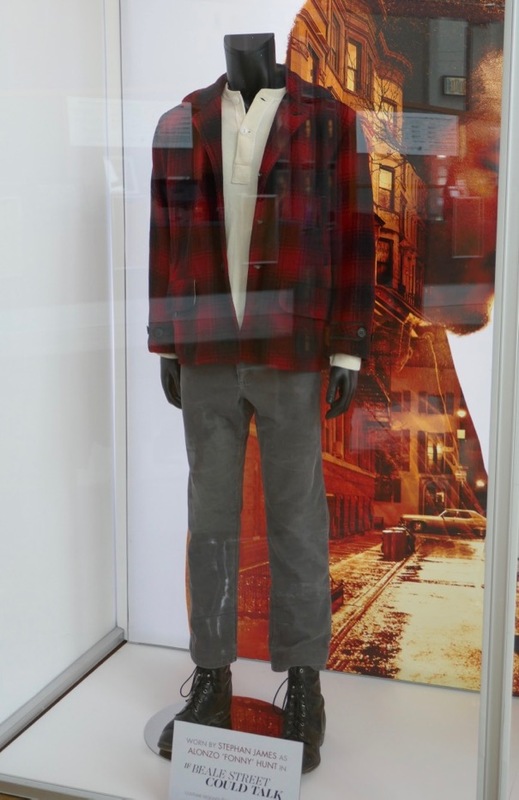 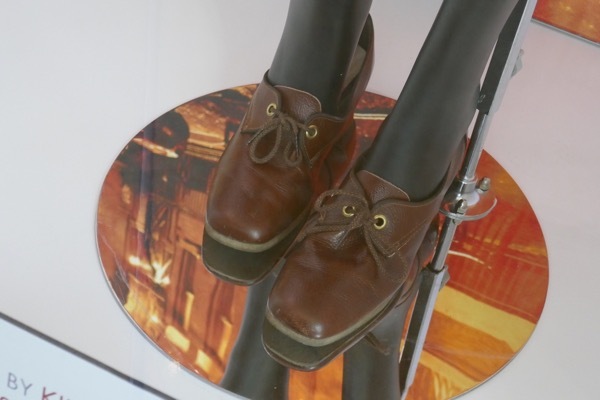 UPDATED: Here's also the costume exhibit located upstairs at ArcLight Hollywood on December 22, 2018, to support the film's three Golden Globe nominations for Best Motion Picture - Drama, Best Screenplay for Barry Jenkins and Best Supporting Actress for Regina King.